A couple of weeks ago, I mentioned that there were going to be changes coming to this blog. The first change is now up and running. As a result, this blog will go through a rebranding phase where it may lay dormant (no posts) for a while. I’m not sure how long this rebranding process will take, but I will try to keep posting while it happens. Thank you to all my readers who have been here throughout the years. The past is repeating itself–and time is running out. It’s been more than two years since homicide detective Livy Reynolds’s cousin disappeared from Logan Point. Unlike most people in her hometown, Livy has never believed that Robyn left voluntarily. 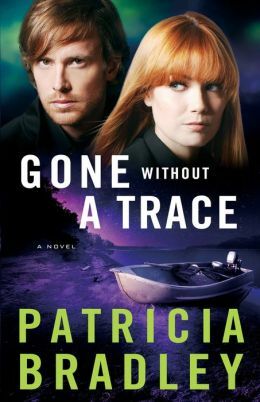 When Dallas private investigator Alex Jennings contacts her concerning a senator’s missing granddaughter who was last seen in Logan Point, Livy notices eerie similarities between the two disappearances. With self-doubt plaguing her and an almost instant dislike of the self-assured PI, she’s finding this investigation an uphill battle. But with the prospect of finding her cousin on the horizon, she’ll have to find a way to work with Alex–before it’s too late. I enjoyed the other two books in the series, although there were things that I was a little disappointed with, in both of them. This one I was more disappointed with. I would have liked a little more development in the characters. There was an issue that Alex had that I felt was never really resolved, or at least we didn’t see the development of it. By the end of the book, it was just resolved without us getting a glimpse of how. I also didn’t think the romance was that believable. It never developed out of anything; it was just there. It would have been nice to see a little more of the development. I did, however, like that I didn’t know which character was the abductor until the end when the characters found out. It kept me guessing and drew me into the suspense. This was a decent romantic suspense novel, but it could have benefited from a lot more description and development. I am considering a change with my blogs. Right now, there is really no focus on this blog. Initially, this blog was created to promote my writing, but that has taken a back seat and I’m not sure if I’ll continue writing books or not. The change that may be coming will be splitting my blog into two different ones. I will have one for book reviews and other things related to books and writing. The other one, will be focusing on mental health. Mental health issues are something that is very close to my heart because of family and personal experiences. This change may take a while to be implemented because I want to plan it out a little more and decide how I’ll do it exactly. I’ll keep you up to date on the changes.